Voice calls have very important role in business, size doesn´t matter but quality does matter for business. Automated voice calling solves telecommunication problems like bill reminders, notifications, alerts feedback & business promotions etc. Proactive dialing increase your telemarketing approach, voice communication improve your engagement with your clients. Voice broadcasting (Bulk voice calls, Voice Blasting, bulk calling) is used for wide scale communication via phone calls. It’s used for notifications, alerts, reminders, polls, survey & promotional purposes. It broadcast recorded message, Dynamic text to speech converted messages. Improve Productivity- It improves your business productivity. 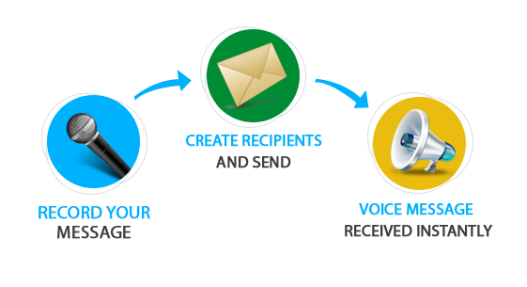 By Voice broadcasting your message is delivered instantly and accurately. Therefore, this service improves productivity and response. With our voice broadcasting service people will know about you and about your Brand. So, this is the perfect platform to increase your brand presence & reputation in industry. Voice message is very efficient to reach wide market. this service can generate more leads, convert these leads into potential customers. It will surely generate profit for your business.